"Love for books" is in the air, and cannot take my mind away from Alexandre Dumas's book, "The Count of Monte Cristo" , one of my all-time favorite books from classic literature that I strongly recommend to you and your children. The Count of Monte Cristo (the original name in French "Le Comte de Monte-Cristo") is a wonderful adventure novel written by well known and prolific French author Alexandre Dumas, book published in 1844. The whole story around this beautiful and heart-breaking novel reveals the painful love a young and successful merchant sailor, Edmond Dantes, for Mercedes - his fiancee Mercedes, his turmoil in jail while being imprisoned to life due to a miserable conspiracy and wrong decision without trial, and his revenge over years. 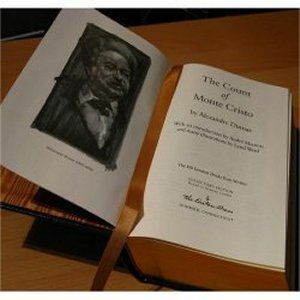 Count Monte Cristo/ Le Comte de Monte-Cristo is one of the most famous classic fiction literature book - my favorite genre of books - excellent written in Alexandre Dumas specific flawlessly and captivating narrative way, recommended for all ages. I loved Monte Cristo book from first page that I read! And it is one of my very favorite pieces of classic epic literature that I read it twice, mostly for the powerful story line that catches your mind. The Count of Monte Cristo is an impressive adventure novel written by Alexandre Dumas (father), French author, describing the life of a young and successful merchant sailor, Edmond Dantes, that spent 14 years in jail without being guilty. Edmond Dantes was wrongly imprisoned to life as result of few people around him, for jealousy on his quick rise as sailor captain, unshared love for his fiancee) and for political reasons by: Danglars, Fernand (Mercedes cousin), Caderousse (neighbor), Villefort (deputy crown prosecutor of Marseille). While Edmod Dantes was imprisoned for 14 years in the Chateau d’If, he became very good friend with an old man – Abbe Faria (known inside the jail as “The Mad Priest”), that was like a teacher and mentor to him, offering a strong education with paramount knowledge and excellent rhetorical power, and let him an important treasure on Monte Cristo that helped Dantes achieve his plans – first buying the island of Monte Cristo, then a Count title from Tuscan government, becoming The Count of Monte Cristo. Then, one by one, he’s following his plans ruining his enemies: Caderousse, Fernand, Danglars and Villefort. Dantes, now The Count of Monte Cristo, finds out that his fiancée got married with the man that sent him to life jail and was crushed, looking also for revenge against her. In Paris he meets Albert, the Viscount de Morcerf, son of his fiancee Mercedes and Fernand, with whom he started a special friendship without knowing that is his own son, but thinking that is his enemy’s child. After a lot of struggle Dantes enemies were punished and he finds his peace, reuniting with family and leaving to a new place to build a new life. The novel describes further Edmond Dantes‘ struggle to survive for 14 years in prison while planning his revenge against the ones that sent him to jail, the escape from the Chateau d’If, Dantes jail and his humongous transformation based on a fortune got from his friend from jail and his determination to follow his plan without a second thought, with dramatic impact and result for innocent people as well as for the ones guilty for his imprisonment. Montecristo was my secret hero for years, in childhood, and I was fascinated with the multitude of inner feelings brought up to the surface while reading that book, from most innocent and pure ones to the darkest ones, all revealed by vanity and the power of love, in fact. I may add here also Defoe’s Robinson Crusoe – both characters (Edmond Dante & Crusoe) passed thru a lot of painful trials and, at the end (after years of loneliness, tribulations and unfair situations that pushed them to the edge of humankind tolerance and survival), they turned out the situation into their favor… with dignity. Alexandre Dumas books - The Count of Monte Cristo, along with The Three Musketeers, are some of Alexandre Dumas's most popular works, so thoughtfully written and enjoyable. Since its appearance up to nowadays, Alexandre Dumas novel The Count of Monte Cristo was translated into different languages and the story served as scenario for various playing theaters, movies, soap-operas worldwide. 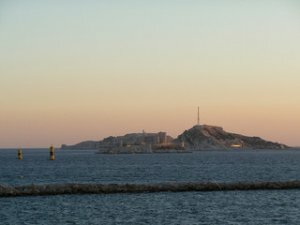 Since 1934 up to 2011, in "Monte Cristo" played famous actors from different countries like: Richard Chamberlain, Gerard Depardieu, Jim Caviezel, Guy Pearce, Pablo Echarri, Paola Krum. "Monte Cristo" became a catchy name for streets, bars, Cuban cigars. It was even created a Savory Monte Cristo Sandwich recipe, a delicious fried sandwich contains turkey and ham.